Latest Premier League injury news. Philippe Coutinho is doubtful for the coming Premier League game against Tottenham Hotspur this weekend, according to the week. Liverpool number 10 Philippe Coutinho is doubtful for the coming Premier League game against Tottenham Hotspur this weekend, according to The week. The Reds will face Spurs this Saturday in a Premier League game. Coutinho has been a vital player for the Reds but he picked up a minor knocked while on international duty. He hardly played the two games for Brazil. He came in the final quarter against Uruguay while did not feature against Paraguay few days ago. However, this could be a good news for Liverpool boss Jurgen Klopp as he did not feature so much but on the other hand it might be because of the injury which could sidelined him for few weeks. While duo Brazilians Roberto Firmino and Lucas Leiva are already out through injury but are expected to return this weekend. Divock Origi and Christian Benteke have already picked up injury last week while training for Belgium. And the boss added that theire return is still unknown, they might be out for atleast a month. 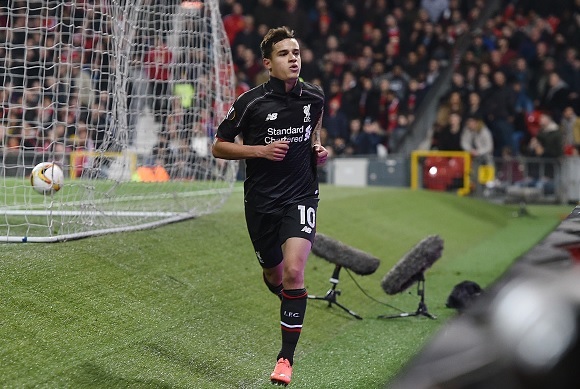 Liverpool could be without Coutinho, Firmino and Lucas as they all are doubtful for this game. On the other hand, Long term absentee Danny Ings remains on the sidelines. He is expected to return to training in the summer. Daniel Sturridge is the only striker available for the Reds.